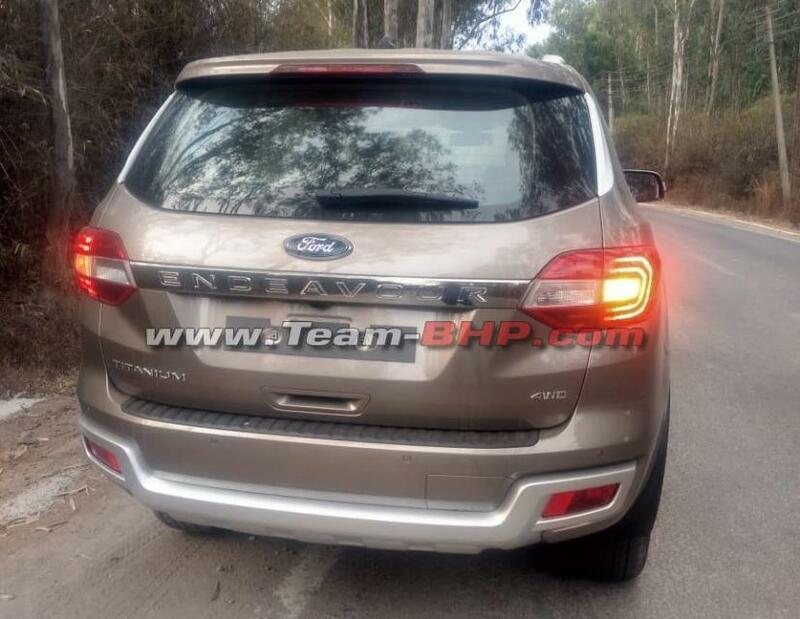 The profile of the SUV continues to exude the Endeavour massiveness, and now features a set of new, bolder six-twin-spoke alloy wheels, while the rest of it remains unchanged, including the engine badging right above the front wheel arch. The ORVMs, roof rails and footboard also have been carried over from the pre-facelift model. 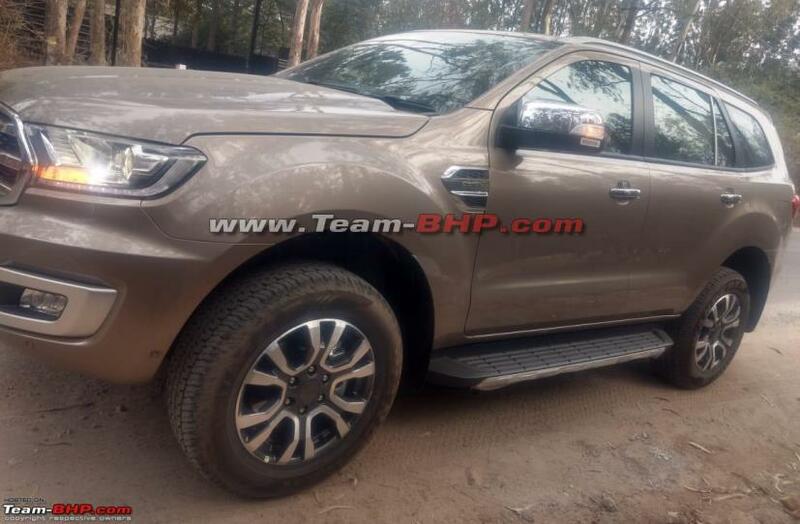 Similarly, the rear section too hasn't received any mentionable update and continues to feature the same taillamps, a roof spoiler with stop lamp, and bumper. 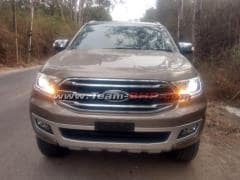 We do not get to see the cabin of the facelift Ford Endeavour in entirety in these images, however, based on photos available, it's clear that updates made to the cabin are also quite minimal. 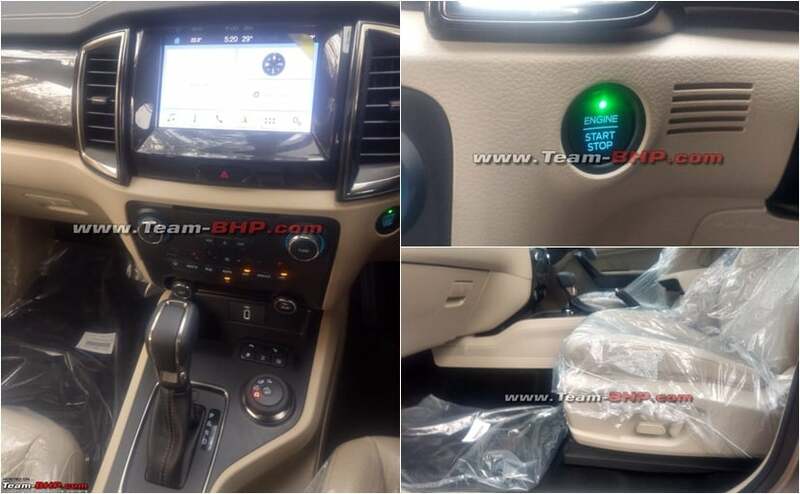 In fact, the dashboard and the centre console looks pretty much identical to the pre-facelift Endeavour, with the same placement for the touchscreen display, air con vents and the driving mode dial. That said, the infotainment system has been probably updated with the company's latest software, offering both Apple CarPlay and Android Auto with Ford's very own SYNC3 connectivity system. Other features will include power seats from both driver and front passenger, an engine start-stop button, and although we do not get see it here, a panoramic sunroof as well.